William Walton composed the impressive Elgerian music for “The First of the Few (1942, U.K.)“. Leslie Howard directed and starred in the film, as (somewhat fabricated) R. J. Mitchell, the creator of Supermarine Spitfire, one of the most resilient fighter planes during WWII. The engine sound in the film is so realistic that you could almost feel the hot exhaust from the nozzles. During the thirties, the sound reproduction technologies steadily improved. By 1940, the engineers had solved most of the primitive problems associated with fundamental implementation of the technology. There were many factors for this improvement. Newly developed fine-grain film stocks reduced noise, while light-weight tungsten lamps added mobility to the production . In late thirties, unidirectional microphones with little frequency distortion were already available for professional production . Practical knowledge of acoustics was also developed to bring more reality to the sound design. Loudspeakers in the theaters had been upgraded to deliver state-of-the-art Judy Garland musical recordings to the clientèle. All these culminated to “realism” of the visual/audio experience in the theater. Once the audience enjoyed the taste of such an improved, high-resolution, low-noise sound recording, they became the toughest critics the production studios had to face. I don’t know the exact technical setup used in “The First of the Few” sound track recording, but I am quite sure they had special attention to the realistic reproduction. After all, Spitfire engine sound was the symbol of the Battle of Britain. 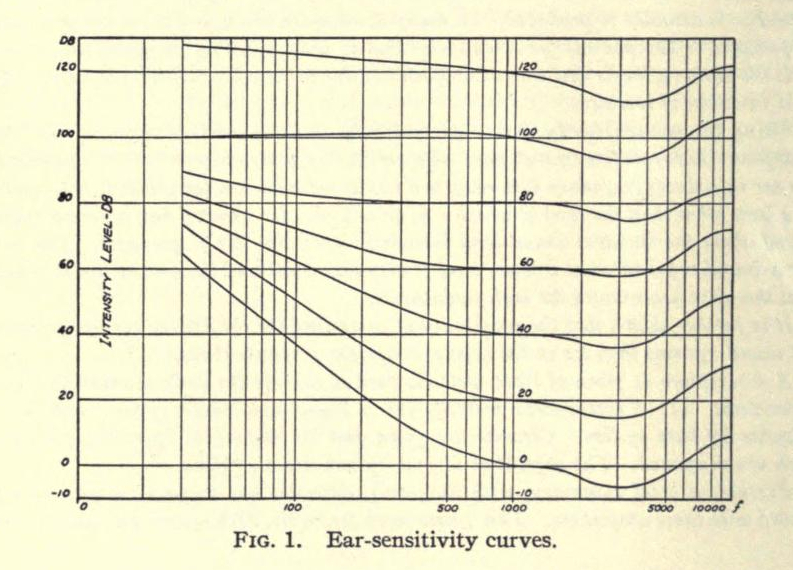 S. L. Reiches, “Volume Distortion,” Journal of the Society of Motion Picture Engineers, vol. 34, p. 59. C. R. Daily and I. M. Chambers, “Production and Release Applications of Fine-Grain Films for Variable-Density Sound Recording,” Journal of the Society of Motion Picture Engineers, vol. 38, no. 1, pp. 45–55, Jan. 1942. H. G. Tasker, “The Technique of Production Sound Recording,” Journal of the Society of Motion Picture Engineers, vol. 39, no. 10, pp. 213–227, Oct. 1942. P. Martin, Hollywood Without Make-up. J. B. Lippincott Company, 1948.